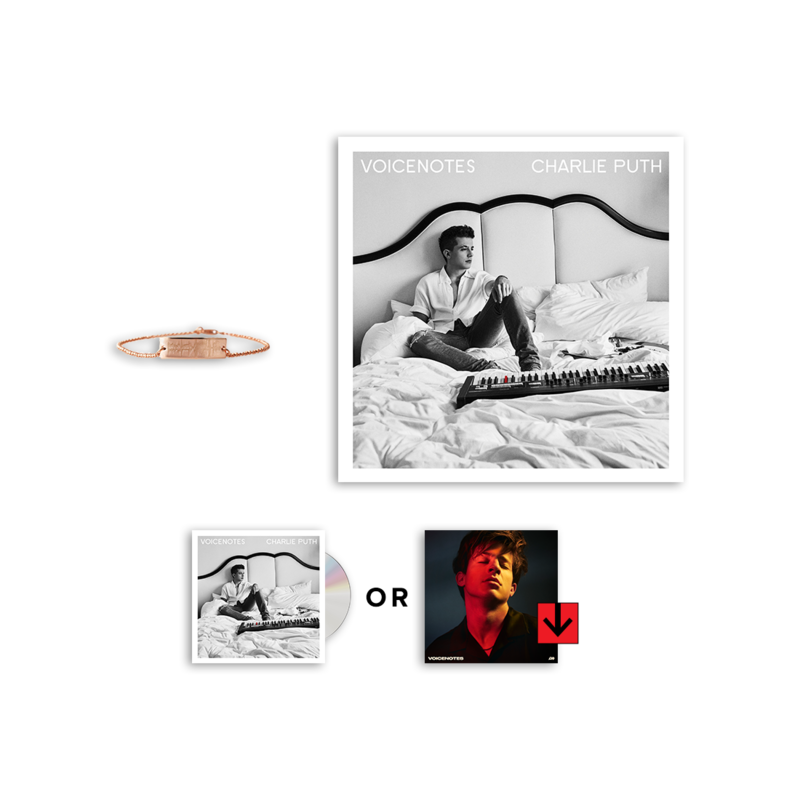 Pre-order the VoiceNotes Deluxe Jewellery Bundle and get downloads of “Attention,” and “How Long” instantly! The VoiceNotes Deluxe Jewellery Bundle here comes with your choice of VoiceNotes on CD or as a digital album. Also featured in this bundle is an18”x18” print lithograph of the VoiceNotes album cover photo. You’ll also receive a rose gold “Soundwave” bracelet that features a design of an actual soundwave that is a 2 second snippet of Charlie’s single, “Attention”! Bracelet also featues has two chains attached to the engraved plate with a lobster clasp enclosure.